On September 16, 2015, a post hit Facebook stating that too many lives have been lost to Heroin. The post indicated that there was too much talk and not enough action being taken. The owner of that post was Michele Gentile, who lost her own daughter to a Heroin overdose and she wanted to take action. Cindy Cooper and Tina Socci, who had lost their sons to Heroin overdoses, also voiced their strong opinions that something had to be done. What was originally planned as a meeting around a kitchen table grew from that single Facebook post to be much larger than anyone expected. With weekly meetings and an ever-growing membership, our grass roots group, now named Heroin Epidemic Action League (HEAL), began putting ideas into action. With our mission statement in hand, the pavement barely touched our feet as we took off running. On October 10, 2015, the group held it's first of many events. 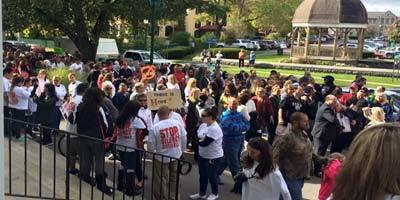 The Heroin Awareness Walk to "Stop the Silence" brought upwards to 300+ people to City Hall Auburn, NY.